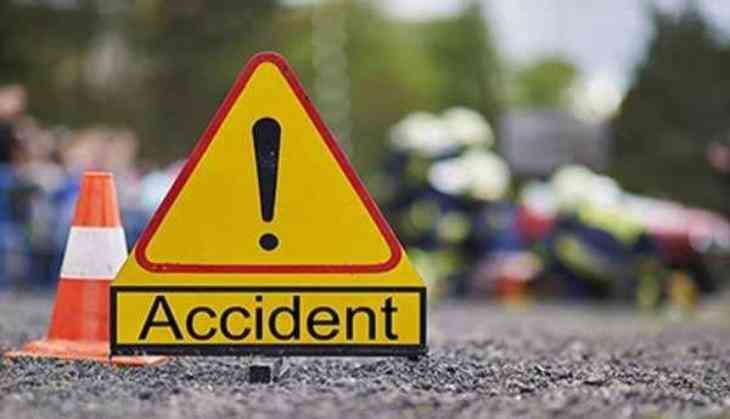 Five persons were killed in a collision between a car and a dumper on National Highway 34 in Malda district in the early hours today, police said. All the five persons, including the driver, succumbed to their injuries while being taken to Malda Medical College and Hospital, Superintendent of Police Arnab Ghosh said. The incident took place at 18 Mile, 35 kilometre from here, at 3.10 AM when the speeding car rammed into the Farkka-bound dumper, coming from the opposite direction. Of the victims, four persons were from the same family who were returning to Malda after attending a marriage ceremony at Rampurhat. The driver of the dumper escaped from the spot after the accident.